It’s been almost half a century since Jimi Hendrix passed away. And now after several delays, a 2.5 acre park in the Seattle Central District neighborhood where Hendrix grew up is being developed. Currently, the City of Seattle and EERG Inc. are seeking a construction contract. 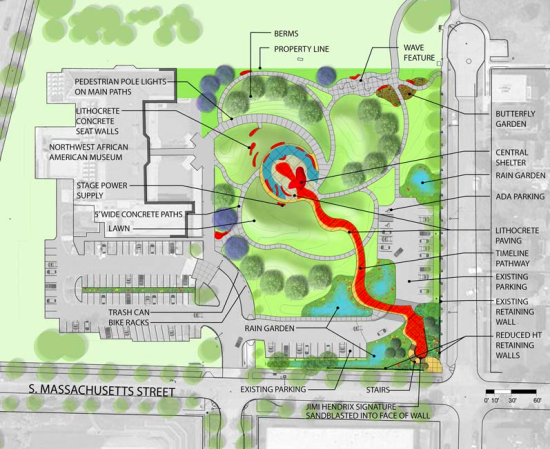 The plan for the site, which is near the Northwest African American Museum, will feature paths and plantings that, from above, look slightly like a guitar. 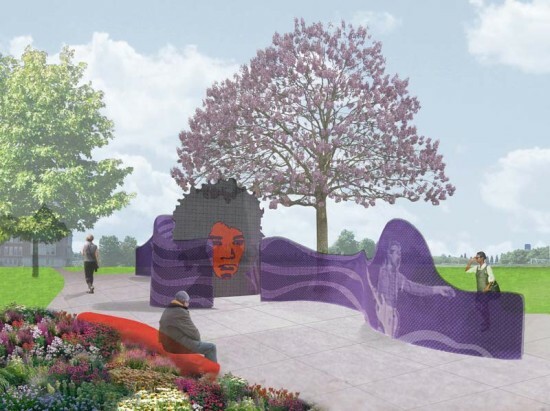 The first phase will include “a new stairway and grand entrance at the southeast corner of the park, paved pathways, a chronological timeline of Hendrix’s life and career, rain infiltration gardens, a butterfly garden, and a performance plaza,” reported Curbed Seattle. 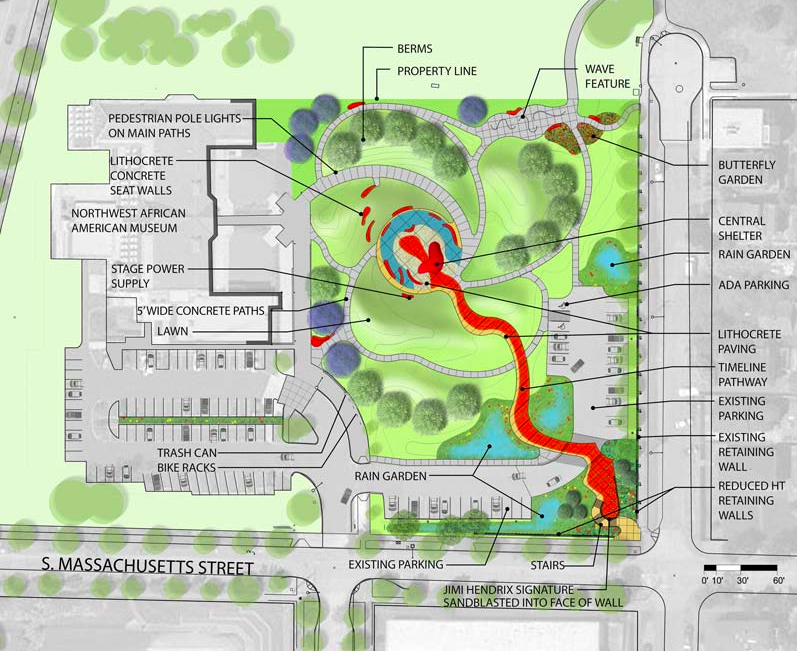 The second phase will include features like a performance space and a “sound wave wall” with silhouettes of Hendrix.